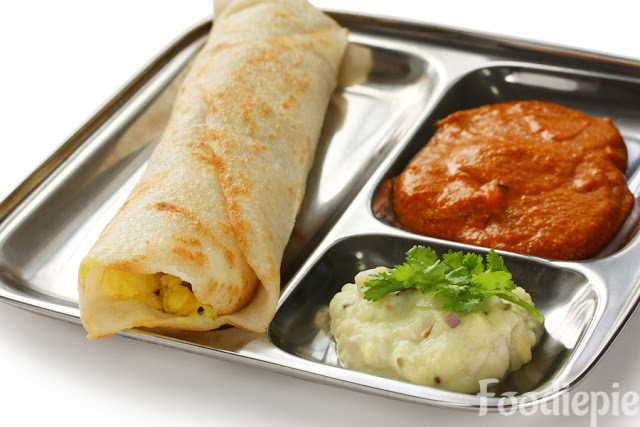 Cheese paneer dosa is a popular South Indian recipe that is loved and delighted by people of all ages. Filled with paneer slices, it is an interesting recipe that is best served with coconut sauce and sambhar. If you are a cheerleader lover and doling on the idea of ​​paneer, then this Cheese paneer dosa recipe is the right recipe for you. Filled with veggies and cottage cheese, this easy dosa recipe is sure to make your food a happy one. You can also make this vegetable Cheese paneer dosa recipe with special occasions such as kitty parties, pot luck and even family friendly. Bring a turn brunch on your Sunday and make this cheese dosa to get more food. When it is served with various chutneys like tomatoes, coriander or even mint, then it tastes best. Pack it to your children's lunchbox and get ready for the rain with praise and praise. Try this great cheese-load dosa at home and enjoy your sweet taste with your family and friends.Let's checkout recipe. Step 1 : Heat a non sticky pan and add 2 teaspoon oil. Step 2 : When oil is ready then add ginger paste, sweet corn, capsicum, mushrooms, chat masala, salt, coriander powder, black pepper and fry the vegetables a little bit over medium flame. Cover for 1 minute and cover until it is crunchy. Step 3 : Turn of the flame and transfer to Bowl. Step 4 : Mix 1/2 tablespoon salt in the dosa batter and mix it well. Step 5 : Place the non sticky tawa on the medium flame. heat it lightly and pour some oil on the Tawa and spread it all around, add 2 spoons of batter mixture on the Tawa and spread it thin and round like a round goal.Put a little oil spoon around the dosa. Step 7 : Now add 2-3 tablespoon of tomato chutney and spread it thin around. Spread 2 to 3 table spoon stuffing over half a dozen and put the cheese on top of the stuffing. Step 8 : Now fold it out and cook until it turns golden brown from both sides. Finally : Transfer it to plate Cheese Dosa is ready serve it with chutney of your choice.You can also serve with tea or coffee or sambhar.